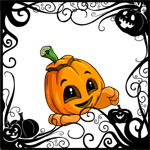 We haven't discussed scratchcards yet, but we are planning to change it so Kitchen Quest rewards are given to the active Neopet. That said, there's no time frame for the project yet, but it is certainly on our radar. The Haunted Woods is a very... unsettling place. Some trees are alive, some simply have creepy faces, and some seem like normal trees. However, this being the Haunted Woods, you're never really sure when something that really shouldn't be alive is suddenly going to lurch toward you. We recommend travelling the area with caution, and avoiding the Woods after dusk. It seems our script that awards LC winners had a hiccup, which resulted in it not awarding some players. Unfortunately, we don't have a way to go back and award those that it missed. We're sorry about that, and we have repeatedly jumped out and shouted "Boo!" at the script in the hopes it will not recur. We'd prefer that you didn't submit from side accounts, because sometimes we give out prizes for special issues (and it's not always obvious which issues those will be). We might make an exception for normal issues if you let us know that you're entering from a side account for a reason. It should be! We'll have a programmer look into it. Wait. You mean it's not all about us? 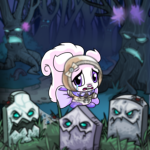 We're going to assume they were attached to the Neopet you abandoned (to a good home). 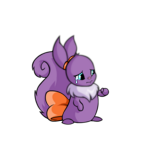 When you abandon a Neopet, any weapons they are equipped with return to your inventory. Yes, they are still redeemable. If you have an issue redeeming them, we can assist only if you have the original receipt for the Pocket Neopet. We cannot give replacement codes for second-hand items. The URL for those forums is not listed on the Fan Site page, so it may not be linked. Hmm... we've avoided it in the past because we didn't want a spotlight to be suddenly submerged in subpar submissions (say that four times fast!) by players simply jockeying for an avatar. However we suppose that, if there was one avatar for winning any spotlight, then that might make things more feasible. We'll certainly consider it! Triffin holding a balloon. D'awww. The Forgotten Shore can save your Halloween party! Faith blinked. "That is a very strange story," she said.